This stunning Sterling Silver necklace reflects the alignment of the stars upon the wearer's birth, with an engraving of the Aries Star Map and black Cubic Zirconia detail. This fire sign, symbolised by the ram, is named after the Greek God of War. Those born under Aries (21st March- 19th April) are said to share many traits with their namesake: they are ambitious, sensual and incredibly strong-willed. 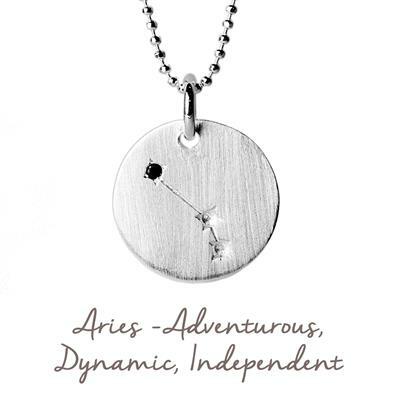 Express your inner determination and passion, and connect to your astrological identity, with this beautiful Star Map necklace.